We’ve provided answers to our most frequently asked questions on this page. To open the answer to each question below, just click the arrow icon on the right to read the answer. The first question’s answer has been opened for you. Q. My home or business is clean, why do I have bugs? A. You may be surprised to learn that most pest problems have nothing to do with good housekeeping. Just like humans, insects and rodents need food, shelter, and water in order to survive. Therefore, all commercial and residential properties are subject to unwanted pests and rodent invasions. Q. Do I have to leave my home or office when you treat for pests? A. In most cases you do not have to leave your home or office for treatment. However there are some pests that really should be treated when children and pets are not present. We will always notify you in advance of any treatment that will require you to leave the premises for your health and safety. If you do have to leave the premises, you are typically able to return in one to two hours after the chemicals used in treatment have dried. The majority of our treatments can be done while you are at home or in your office. Q. Are there pests that aren't covered under the Home Protection Plan? A. No one likes to hear that a pest they are having trouble with is not included on their Home Pest Protection Plan, we do cover a wider variety of pests than most pest control companies under our Home Pest Protection Plan. However, termites, bed bugs, and just a few other unique pests are not covered under our Home Pest Protection Plan. You can however add these pest and others by requesting the addition to your Home Pest Protection Coverage for an additional fee. Just ask your service representative for more information. Q. Are the products you use harmful to people and pets? A. All of the materials we use are registered for home and office use by the Environmental Protection Agency (EPA). Additionally all of our pest control technicians are licensed by the state of New Jersey as pesticide applicators, meaning that they have taken classes and been tested in the safe and appropriate use of all the materials that we use. We take very seriously our responsibility in keeping your home and business environment pest-free. Feel free to discuss your concerns with your pest control technician regarding any materials to be used in your treatments. Q. How much does pest control service cost? A. Because each home and business is unique in their pest control service needs, please call us so we can give you an accurate estimate. We provide no cost, no obligation pest inspections so that we can offer the lowest price to solve your problems. Q. Will My Pest Problem Be Gone For Good? A. Pest control services, depending on the pest, may need follow-up treatments to resolve a problem. It is important to understand that most pest infestations have taken time to establish themselves. You will often hear our staff say that most pest control services are a process and not an event. The bottom-line, is that insects are no different then anything else in nature and do require maintenance and monitoring to effectively eradicate or control their populations. Q. What type of termite protection do you offer? A. Please call our office for details on termite protection even if you do not have termites. We will have an inspector come out to discuss options with you for proactive termite prevention. Q. How do I know what pest I have? A. Our pest control technicians are skilled and trained in pest identification. Although you may not know what pest you have, as the experts, we will know and be able to create an effective pest pest eradication plan for your pest problem. 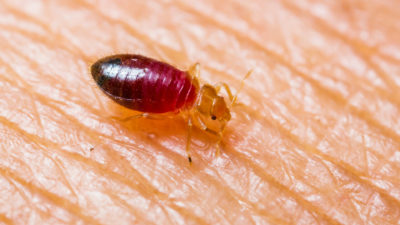 Q. I have bed bugs what type of prep do I need to do for treatment? A. It is important to be ready when our service technician arrives. The bed should be stripped and even the mattress pad and bed skirt should be removed. All clutter from the room should be removed and the closet organized. Additionally the carpets should be freshly vacuumed. It is important that you not move any items out of the room except in plastic bags so as not to infest other areas of your home. We recommend that all bedding be washed and dried on a high heat setting before being returned to your treated bed room. Our office staff will review the exact procedures for your pre-treatment preparation. Please allow yourself the time to be prepared to allow our technician the time to concentrate just exterminating your bed bugs the day of your service call. If you do not see your question answered here. Please contact our office or phone us at 800-564-4585 so that we can assist you personally. With Allison Pest Control you’ll never be “bugged” again!